the prostate gland. Magnetic resonance imaging (MRI) can be used to visualize these suspicious regions within the prostate. which allows for fast and precise in-bore targeting of these regions, based on MR images. We are a team of experienced and highly dedicated people with the knowledge and expertise to transform concepts into clinical products. Our mission is to deliver innovative products that will help to improve prostate cancer diagnosis and therapy. Our focus is the development of a new platform -including accessories- enabling our customers to perform divers MRI-guided interventions. 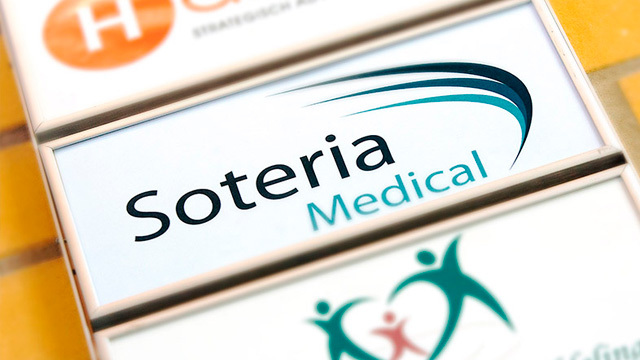 Soteria Medical develops, manufactures and sells medical equipment, especially in the field of MRI guided interventions. The MRI compatible manipulator developed by Soteria can be used for biopsies of the prostate, through which prostate cancer is diagnosed at an early stage. 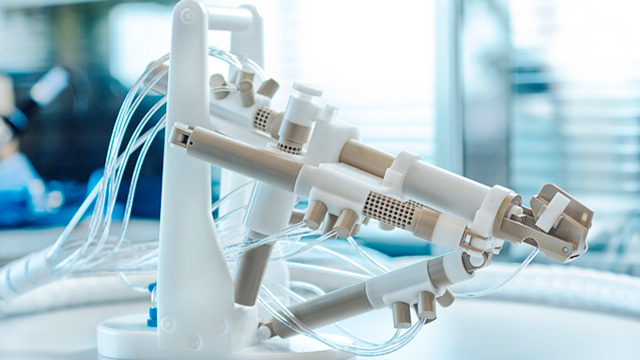 This manipulator will significantly reduce de procedure time, save MRI expenses, while at the same time, being more accurate and less stressful for the patient. Nov. 2015 - On November 12th her Majesty Queen Maxima opened the MITeC (Medical Innovation & Technology expert Center) of the Radboud UMC. The opening was performed by making use of the MRI scanner and the RCM showing the opening sign. The MITeC contains three innovative operating rooms which offer different unique facilities in which diagnostics and treatment are combined.